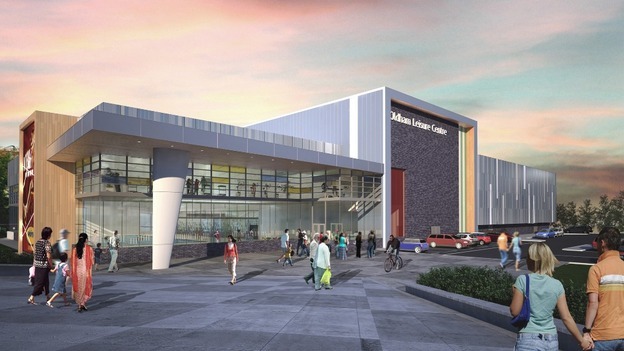 Plans have been revealed for the new Oldham Town Centre so called “Flagship” Leisure Centre. Flagship in Oldham obviously means less facilitation for sports participation for the people of Oldham and more spectator seating so that Oldham Council can use the facility to generate income from hosting competitive events and TV broadcasts. The current leisure facility is located in the middle of the traditional retail Town Centre opposite Tommyfield market. The new facility will be built opposite Oldham College located outside the traditional retail Town Centre. Upon completion of the new facility, struggling Town Centre businesses will lose the footfall business from leisure centre patrons who will no longer need to travel into the Town Centre. This relocation is not about the people of Oldham but about the Metrolink/regeneration corridor consisting of the Civic Centre, Hotel Future, leisure centre and educational campuses. Why would Oldham Council commission a leisure centre at one of the busiest and consequently polluted multiple main road junctions in the area other than because it serves the councils requirements. 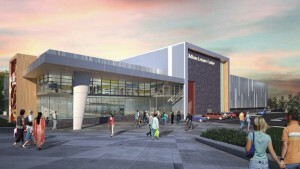 Competitive sports at the leisure centre will mean athletes, TV crews and celebrities staying at Hotel Future before travelling down King St and Union St to the Gallery & Coliseum Theatre thus avoiding the real Town Centre with its pound shops, bookies, cheap clothing shops and junk food outlets. When the Oldham facility and the planned new one in Royton open at least four current leisure centres will close including the current Royton and Oldham Town Centre leisure facilities along with Glodwick Pool & Gym and Crompton Pool (Shaw baths). Spectator seating gallery at the main pool, providing 250 seats & 150 competitor seats.